One score and eight years ago, when Macintosh is first uncurtained, Apple does dent the universe. Mac products are now deeply into every aspect of our daily lives. But, there is a blatant truth. Can you play Blu-ray on your iMac? No, because Apple hates blu-ray, which it fails to war against. Apple feels reluctant to import neither Blu-ray video into iTunes, nor a Blu-ray drive into its system, out of its own interest. But, do we hate Blu-ray? Think of Blu-ray 3D Avatar, Transformers. No, we love Blu-ray. Ultimate solution? You need an external Blu-ray drive and a software player that plays back the Blu-ray discs. 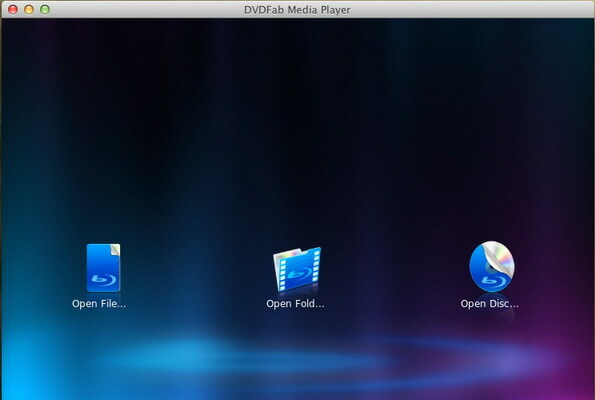 DVDFab Mac Blu-ray Player is a high end media player software targeting at Mac OS X, it not only plays Blu-ray discs and and other video files in all formats, but also plays Blu-ray folders, ISO image files, both 2D or 3D. 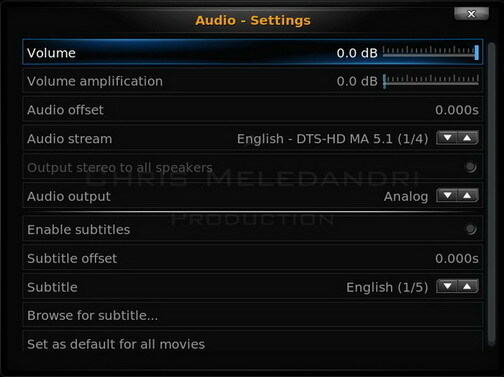 This tip here is a simple guide on how to use this powerful Blu-ray media player software. 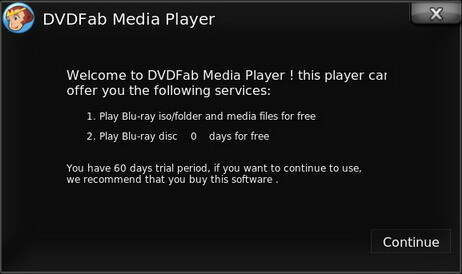 Note: 1) means you can use this Blu-ray media player to play Blu-ray ISO file and other video files free for lifetime, and 2) means playing real Blu-ray disc is free for only 60 days, you need pay for the full version after the 60-day trial. 3). Click “Open Disc” icon to access the real Blu-ray Disc from your external Blu-ray drive. 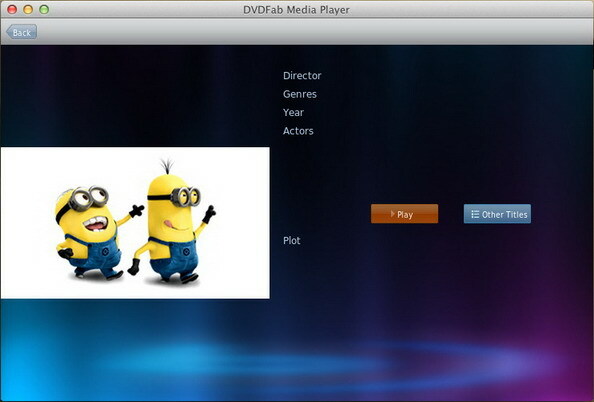 Step 3: After loading the source material, DVDFab Mac Blu-ray Player will automatically collect the info about the loaded movie, including director, category, year, actors and a simple plot. 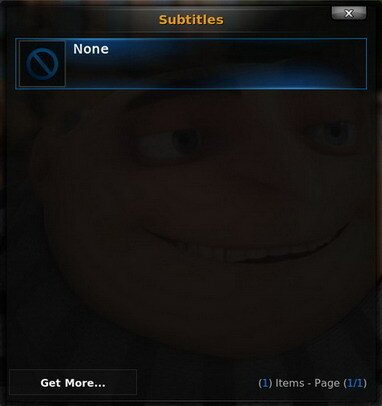 Click the “Play” button to play the main movie title, or click “Other titles” to view other titles. Step 4: Hover the mouse over the bottom part of the displaying screen during the playing process and click, the control panel will come up. At the left, are the general settings, Play, Stop, Fast Forward, Fast Backward, etc. 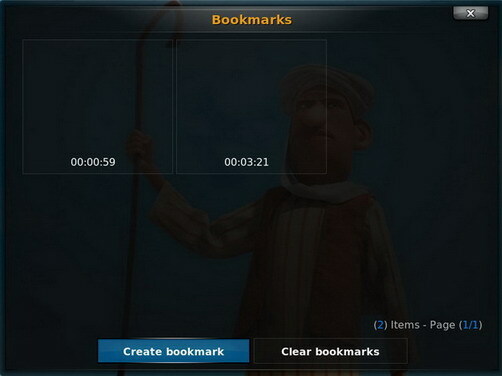 and at the bottom right corner, from left to right, are the Subtitle Settings, Video Settings, Volume Settings and Book Mark buttons. How to Convert UHD Blu-rays/Videos to 1080p Video? How to Burn 4K Movies to Blu-rays/4K Ultra HD Blu-rays?